I came home to find a hot-off-the-presses copy of One Night Wilderness: San Francisco Bay Area by Matt Heid. 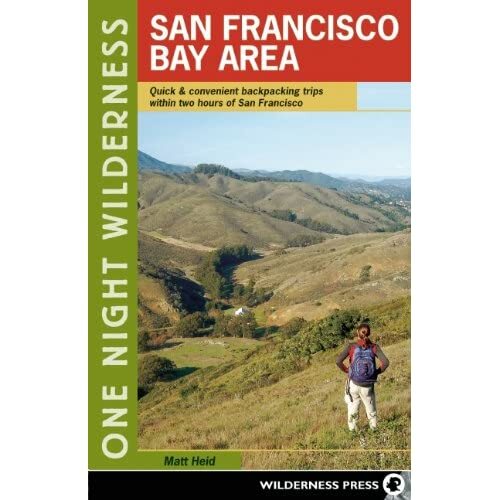 This just became my top reference for backpacking in the bay area. I think the trip descriptions are even better than his previous book, and the focus on overnight trips is a great help for our Boy Scout trips. There are plenty of good books about day hikes—you don’t get to a 10th edition without being great (that would be Tom Taber’s book). I really like the rating scheme: scenery, difficulty, and solitude. Unsurprisingly, Henry Coe rates high on both difficulty and solitude. This has a few hikes that are new to me and that makes me want to pack up and head out. The Wilson Peak loop in Henry Coe looks just right for the Venture Patrol’s series of pre-Philmont shakedowns. It is weekend Scout trip season again, let’s go! There is only one thing I don’t understand. How does a guy who lives in Massachusetts know so much about backpacking in my back yard? This entry was posted in Backpacking & Hiking, Books. Bookmark the permalink.